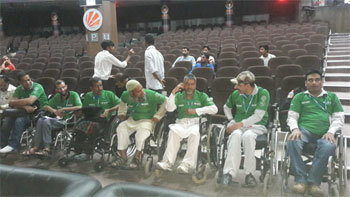 The transport arrangement was made by Humanity Welfare Organization Helpline (HWOHL). The Helpline under the leadership of Honorary chair person and was fully sponsored by Heevan Travels Srinagar. During the conference three sessions were held. Bed sole prevention and management. Drive Vehicles & Maintaining the relationships. 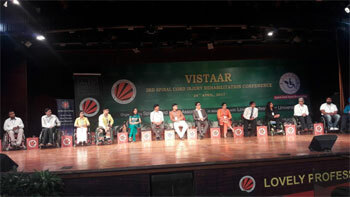 The delegates from Kashmir had a wonderful experience by attending such a informative conference for the first time. 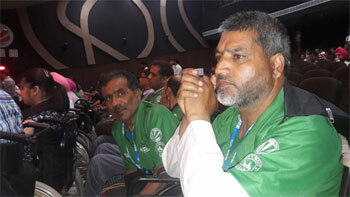 Most of the delegates had never visited any other place after facing spinal cord injury. They have never met the people from outside state using wheelchairs because of spinal injuries. All the delegates where happy after attending the event and thanked the Hevan Travels Srinagar for affording transportation for them. In addition they thanked Humanity welfare Organization Helpline for arranging the trip. After reaching back all the delegates unanimously accepted to organize meeting at Helpline office on monthly basis in order to reach out the other spinal cord injured people in order to train them how to live an independent life on wheelchair with dignity. Whatever knowledge was gained from the conference will be disseminated among the wheelchair users due to spinal cord injuries living in far flung areas.